GE2015's results caught a lot of us by surprise. That itself is not surprising, because if anecdotal evidence, social media postings and attendance at rallies are to be trusted, the opposition parties seemed to have a lot going for them from the start. But if we are to learn anything from this GE, it's that social media sentiments, rallies attendance and anecdotal evidence are never reflective of real ground sentiments. Many reasons were given to explain this "swing" of votes back to the PAP. The Lee Kuan Yew and SG50 effect were two of the feel-good reasons given. The town council issue and fear of the bigger world were two others. 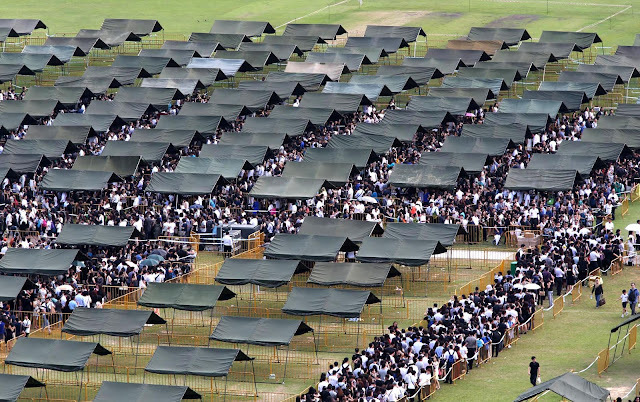 Some even went as far to suggest that new citizens are solely responsible for the swing in votes, according to a WhatsApp message that has been circulating around (which is pure hogwash, because the numbers did not take into account the 130,000+ Tanjong Pagar voters and uses a wrong basis of comparison, which is the number of babies instead of number of voters turned 21). The truth is, we can never know what caused this swing back to the PAP. 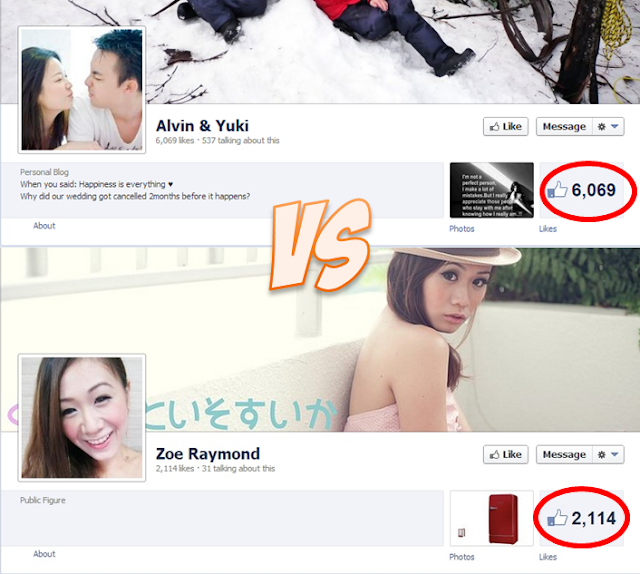 This group of people who reversed the trend, whom some have called the silent majority, are called silent for a reason. You never hear them speak online or see them online (because silence is harder to track than an opinion expressed online), and yet their actions are profound. We saw them during the LKY memorial and we are seeing them again this GE2015. They voted for PAP with a resounding yes, despite everything that pointed otherwise in the initial campaigning period. However, that's where I suspect the similarity would end. The silent majority could have voted the PAP back in for numerous reasons, and perhaps a combination of those reasons. It could be the LKY or SG50 effect (although I suspect that voters themselves are not that simple-minded), the fear of a freak election result, not seeing the opposition as a viable alternative (some friends of mine questioned the feasibility of some opposition manifestos, for example) or simply because they had fresh faith in the PAP. We can speculate all we want, but unless we can track down all these silent majority voters and ask them, we can never know. Which I think the whole exercise is pointless in the first place. We don't even know the profile of this silent majority, which is important to help us understand the reasons. Are they mostly old voters (which then could be due to LKY effect or the Pioneer packages) or educated voters (which can be alluded to deeper factors such as manifestos)? Civil or private service? Are they from diverse backgrounds (which could point to reasons resonating on a national level)? The thing is, we can never know. Unless the votes are not secret, of course. Looking at the results, two things stood out to me. One: Despite the seemingly high profile of some of the opposition candidates, despite their high calibre, voters have rejected all of them. Rising stars like Daniel Goh, He Ting Ru from the Workers' Party; Paul Tambyah from SDP and Benjamin Pwee from DPP; and veterans like Dr Chee Soon Juan were all soundly defeated. It seems to suggest that there's a bigger issue at play here and that the candidates' profiles on their own are not a good enough pull. Perhaps the voters find it hard to agree with the party's manifestos, despite the candidates profiles. Perhaps the voters simply don't see a difference with these opposition candidates being "parachuted" in as compared to what the PAP is doing. In fact, the PAP seemed to have changed their tactics in some constituency as well, going with longtime grassroots leaders like Cheryl Chan in Fengshan, which ultimately worked in their favour. The second thing that stood up for me is how a strategy of dissatisfaction no longer works for the Singapore electorate. Numerous parties sprung up in this GE, perhaps hoping to capitalise on the perceived dissatisfaction that had carried forward from GE2011. Perhaps these parties thought that as long as they're opposing the government, voters would give them the vote. This can be seen in a lot of the parties' strategy in campaigning: Vote for us if you hate the PAP. 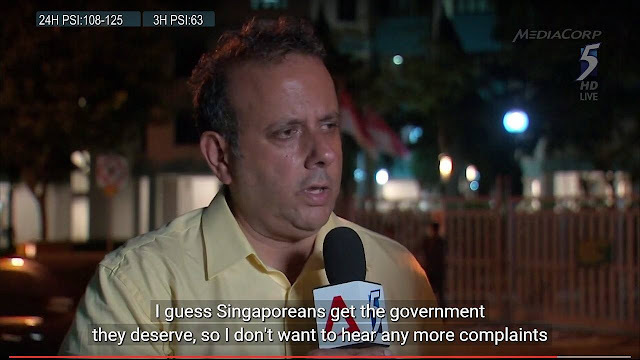 Kenneth Jeyaretnam's now famous speech on asking voters not to complain after this GE seem to be the best indicator of this mentality. 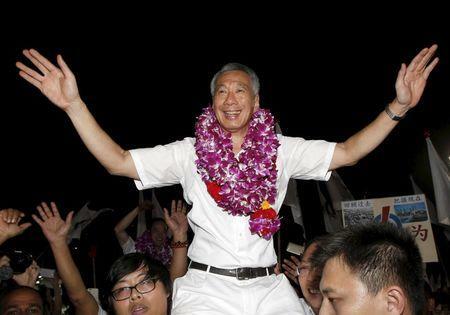 However, the unfortunate fact is that this is not GE2011. The opposition thought that Singaporeans would cast a vote for them merely on the basis of protest — which may explain why many are jumping on the election bandwagon — they were sorely mistaken. GE2015 seem to be sending the message that the opposition needs to up their game, and unless they are seen to be better alternative (with better policies suggestions and credible figures), voters are not going to give them the mandate. Unless voters are extremely dissatisfied with the current government, but this should never be the main strategy in the long run. The stars may have been in PAP's favour this GE2015, and it may take another five years for the next GE, but I think that this GE could very well be a blessing in disguise for the opposition. It certainly sent the message that majority of Singaporeans do not want an opposition for the sake of an opposition. This GE has demonstrated that for a significant amount of Singaporeans, if they cannot have a strong opposition, they would rather have none. In closing, is a good learning opportunity for the various opposition parties and come GE2020 or GE2019, I hope the opposition will return stronger and more prepared. This GE is a good lesson that nothing can be taken for granted, for both sides of the fence. And unlike many people out there, I don't think Singaporeans are that daft to be "hoodwinked" by the PAP. I think everyone made a choice on what they thought best at the moment, and right at this moment, PAP seemed to be the best out of all the choices.